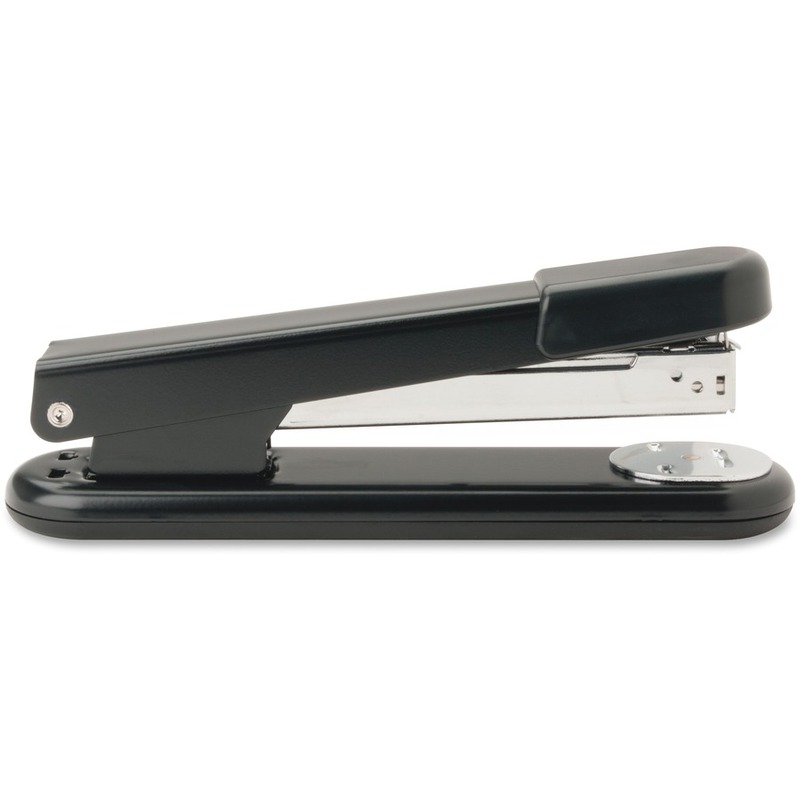 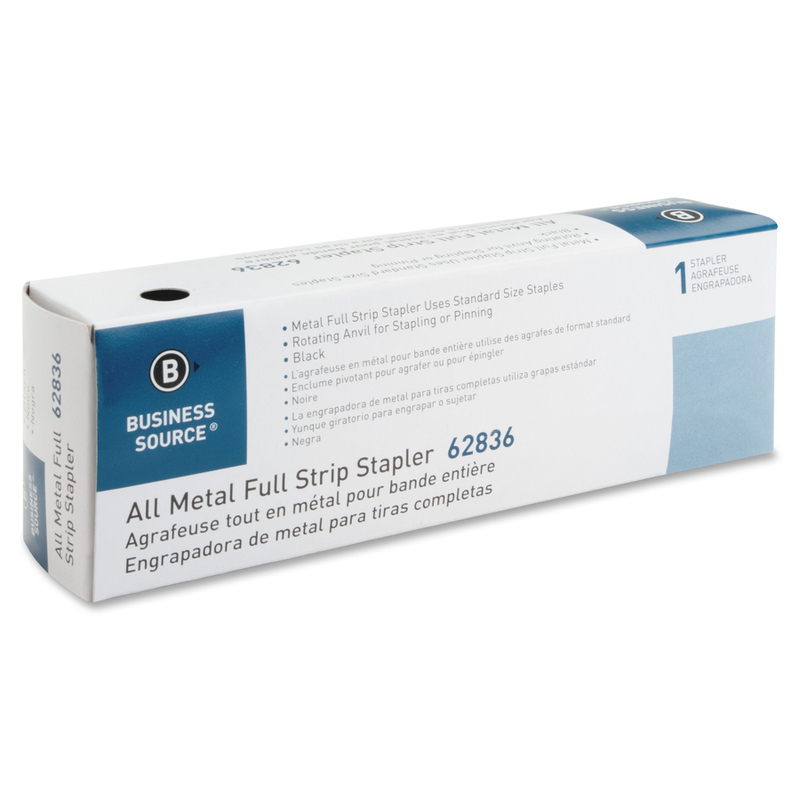 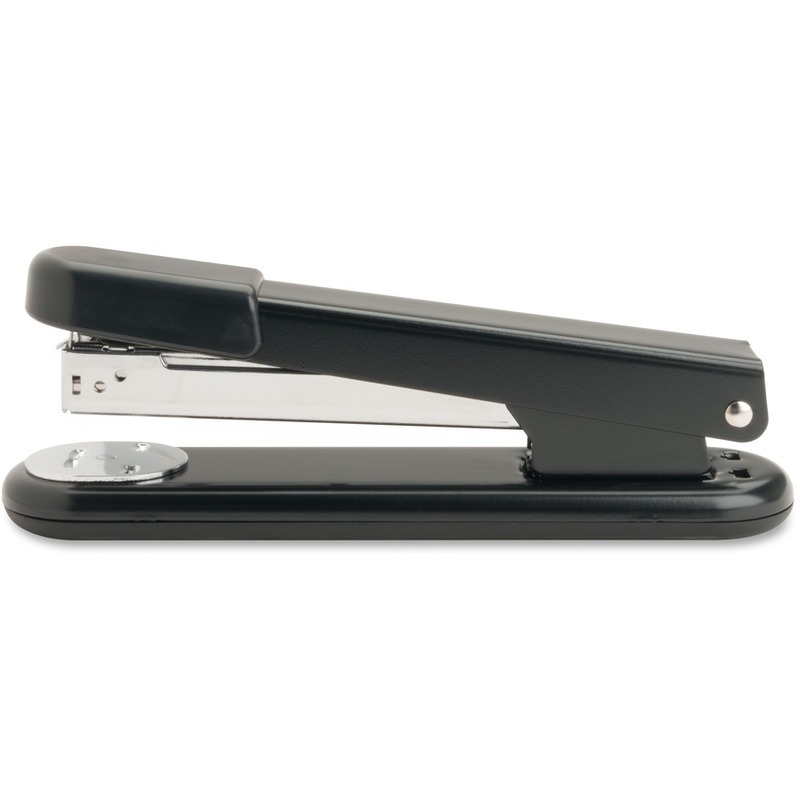 All-metal, Full-Strip Desktop Stapler fastens up to 20 sheets of 20 lb. 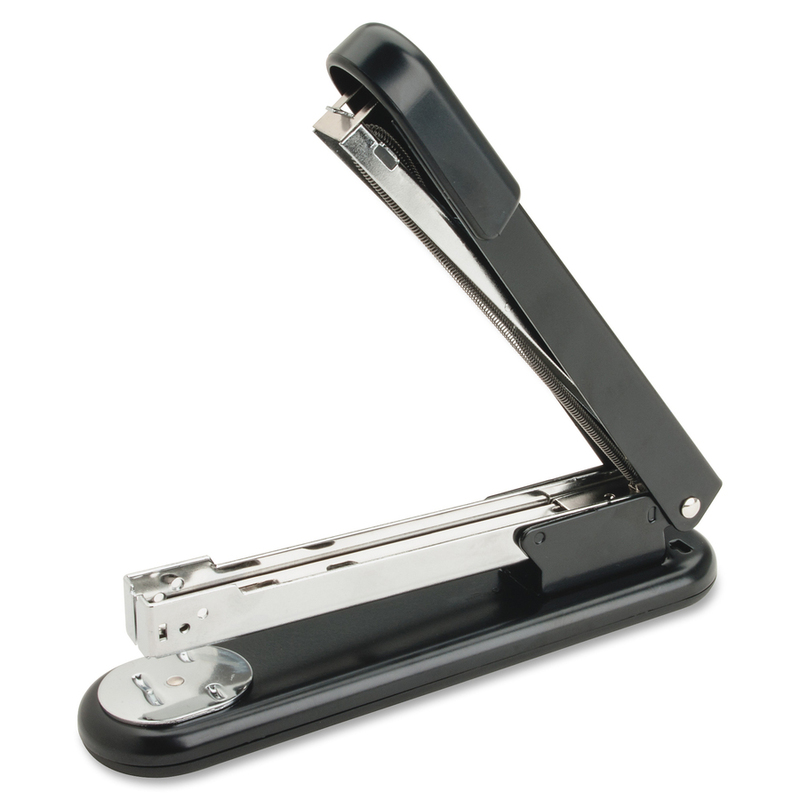 paper at a time. 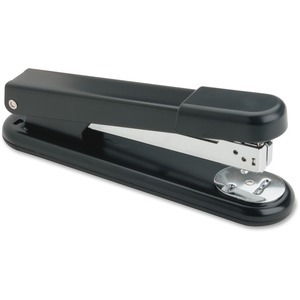 Features an ABS round handle cap, rubber base, and full-length metal channel with feeder that prevents jamming. 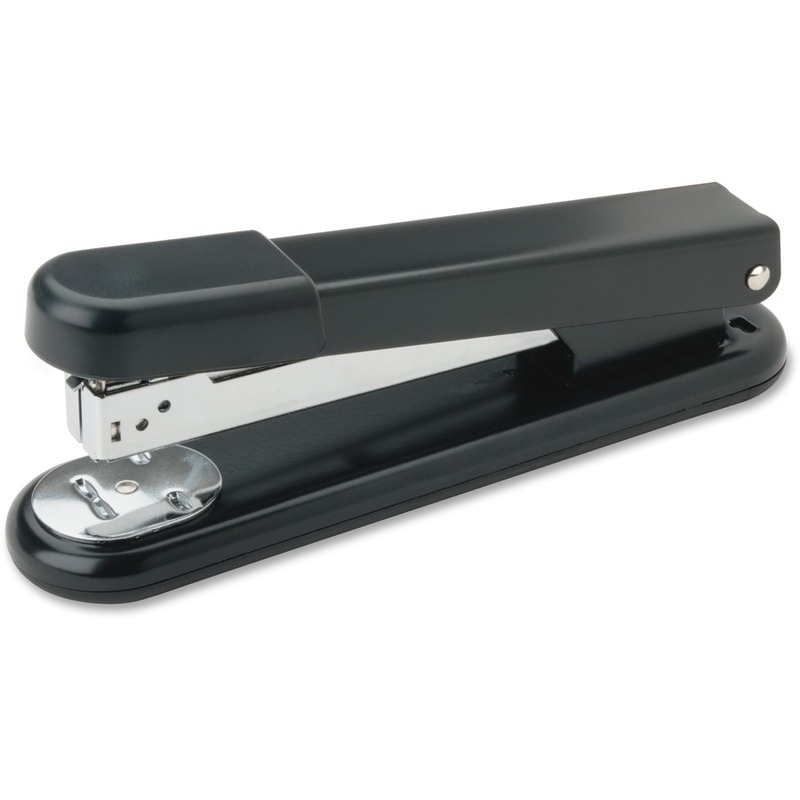 Rotating anvil provides stapling or pinning. 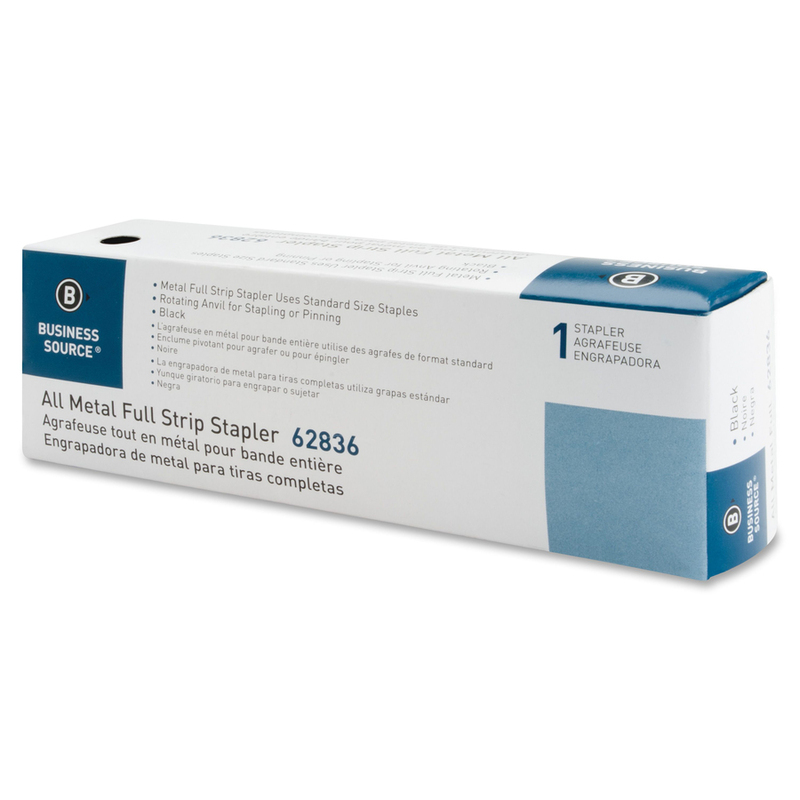 Stapler loads full strip (210 staples) of standard 1/4" staples.